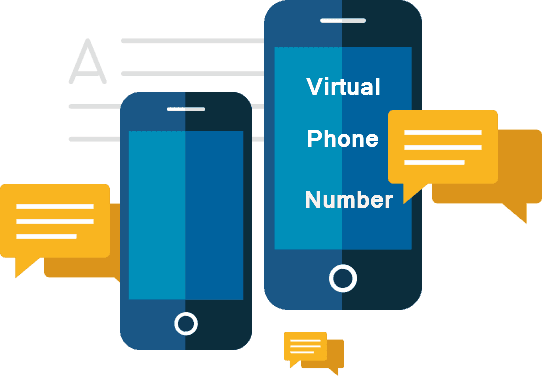 How Businesses Use A Virtual Phone Number? There is a special kind of phone number that businesses use these days. These numbers are specially designed for business purposes. These can be said to be a virtual existence of phone numbers which are different for every person according to the geographical location but the all calls made to these numbers that are spread across the globe are transferred to the registered number(s). The receiver has access to the numbers to which the calls are transferred. The provider of these transfers is chosen by the company according to their needs. This is an obvious way of expanding a business to international boundaries. These numbers are commonly used by businesses which are required to be spread across the world. There are many ways to expand the customer base f a business but this one of the best. There is no additional machinery required to install a virtual telephone system in the company. It can be used with a mobile phone or a landline. It is just like a normal phone number to which the calls get transferred to a number which a receiver is able to attend at any time. Nowadays, everyone has his/her personal mobile number. There are many contacts in a mobile which one can contact anytime. The time factor of the virtual phone number makes it one of the best choices for businesses as they can attend any call from around the world at any time irrespective of the location of the receiver. There is an auto attendant feature in the service which formally greets the caller and instructs them to reach to point for which they have called. The instructions are for self service of customers and saving their time to get straight to the point of calling. The instruction is generally to press some keys on the keypad to reach the actual receiver. This feature helps the business to differentiate those important calls with the fake callers which saves a lot of time and effort. As the features of the virtual phone number are immense, there are even more benefits of the number that has been registered. Some of the advantages of using a virtual phone number are as follows. · The feature of call recording is available for future evidence that adds to professionalized approach. Call recording helps a business to remember its tasks regarding a particular customer as well. · The customers are professionally greeted when they call. This adds to the discipline of the firm that is reflected upon its customers. · Messages and reminders through SMS and social media are sent to keep the customers engaged. Reminders help customers to remember the tasks regarding their purchases. · The need of employees to attend each call every time is reduced because of the auto attendant feature. The cost of carrying out business activities is reduced as the salary requirement also gets reduced. · Differentiation of fake callers and important callers can be made easily. · An image of local company is made in the minds of every caller as the numbers are toll free and the number to which they call is a local number to them.